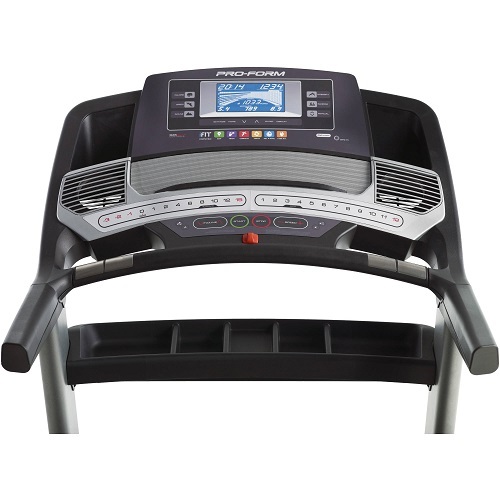 Proform is one of the most well known brands in the treadmill space, and the “Pro 2000” model is one of their best selling and most popular models. In this review we'll be assessing why this model seems to be so popular, and taking a look at whether it's likely to be worth the investment (as it's certainly not the cheapest option). The answer will largely depend on what your needs are, and how much you value having a “cream of the crop” model treadmill such as this one. Just to be clear, this review is focusing more specifically on the more popular version of the Pro 2000, which is NOT the 2016 model. If you want to see the 2016 model, it's found here (Amazon). Are There Any Problems With The Pro 2000 Model? The belt on the Pro 2000 is only 1 ply, but it's a sturdy built commercial grade belt, and so is still highly durable and built to face the test of time. Its standard dimensions, at 20 x 60 inches (50 x 152 cm). Its size supplies and adequate platform size for pretty much all runners requirements. These belts are tested for 1 million cycles at a weight of double the maximum user weight, before being put in place on the treadmill. For this reason, you can rely on their durability. The Proform Pro 2000 similar to its brother models allows for fold-able storage. As you can see in the image here, the treadmill's position when folded is still fairly large, however when in this position you can certainly save some floor space. If you have a large enough wardrobe or similar storage cupboard, then you might be able to fold and store the unit their. Either way, by offering this ability within its features, the Pro 2000 gives its users a little more flexibility in how they keep it when not in use, etc. The Pro 2000 not only has an incline of up to 15%, but is one of the rarer machines which offers up to 3% decline as well if you want to tone up your muscles for running down hills too. In terms of degrees, the maximum slope is about 11-12 degrees. In terms of your ability to control the incline/decline rate, using the up and down arrows on the units user interface, you're able to make adjustments in 0.5% increments. The ability of this machine to offer such a range of incline and decline ability helps users to create a versatile training regime. In terms of platform position while at incline or decline, the running platform will sit at around 10 inches (25 cm) off the floor when set to 0%. When you adjust the machine up to 15%, it will raise up to 16 inches (40 cm) off the floor. So one thing to be aware of when choosing a placement for this treadmill in your home or office, is that you have high enough ceilings to accommodate for this factor. The ability of the Pro 2000 to integrate with iFit is one of the reasons this particular treadmill is such a widely popular choice. With iFit connected you have the ability to import different workout programs via the online database, create and edit your very own training programs, track and analyze your session and data, and count calories burned over time. This large vault of training information can be invaluable, and truly creates a superior training experience where you FEEL like you're fully in control of your training progress, and your overall fitness in general. If you don't mind holding onto the bars while you're jogging or walking, you can make use of the EKG grip sensors, which will measure your heart rate/pulse, and relay it back into the main console display. Alternatively, if you want to run hands free, you have the option of using the included Bluetooth Smart Chest Strap, which as the name suggests relays information via a bluetooth unit which is strapped to the users chest. 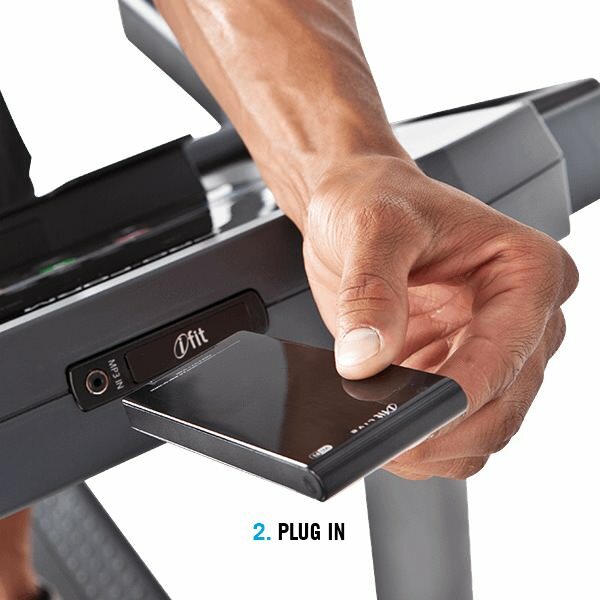 This unit's quick speed controls make it super easy to change the treadmill speed, even while you're already at top speed, so you don't have to worry about falling off whilst making adjustments. This is an important feature on any treadmill, as you want to be able to easily control your speed and incline/decline settings while you're moving. One of the most important features of this treadmill is its powerful industrial grade 3.5 continuous horsepower motor, which gives the treadmill the power to accelerate your run all the way to up to its maximum speed of 12 MPH (19 KMH). The engine is designed and built specifically to withstand prolonged intense use, even when used at it's maximum setting frequently. You won't have to put up with this motor heating up, skipping or losing its speed when it shouldn't. This is the case even for the heaviest of users, who are close to the treadmill's maximum weight capacity. The noise generated by this motor is very quiet, barely noticeable below speeds of 7-8 Miles Per Hour, and above this is still quiet enough to be able to hear your TV. Obviously, the noise created by your feet hitting the treadmill deck will intensify too as your speed increases, but when being compared to other treadmill motors, this is a fairly quiet motor overall. The ProShox cushioned running deck is designed to help users cushion the impact of their running while using the treadmill. Any experienced runner knows that this is a big deal, and overtime can mean the difference between having problematic knee and ankle/foot injuries or not. The design helps to distribute the impact of your running evenly across the whole running deck. So it should go without saying that running on the Pro 2000 is far more comfortable for you than if you were running outside on the pavement or similar. This means less painful workouts, and less time in recovery, which ultimately means you can train harder and more often, and get more benefits. The Pro 2000 features what's called the Dual CoolAire built in cooling fan. This fan is positioned underneath the control console, and is fairly well hidden. It's power might not be enough to really keep you cool if you're doing a heavy workout as some reviewers have commented, but it's still a smart addition to this treadmill's overall feature list. Within the dashboard you will find an integrated sound system featuring 3 speakers built in. This sound system will allow you to plugin multiple sources of music, including either an iPod or MP3 player. The following feedback is based on that found on Amazon.com for this product. The feedback on this treadmill from most buyers has been pretty positive. It's not one of those products with almost unbelievable amounts of positive feedback, but in a way, this is a good thing, as you know that it's more likely that the reviews are going to be real and not falsified (which does happen unfortunately). At the current time of writing, there are 275 apparent reviews (the number shown under the overall star rating count on the main page under reviews) with 210 of those reviews being from verified purchasers. Verified purchase reviews are reviews that Amazon has actually proven to be from real buyers, so that's all that really counts. Out of those 210 reviews 53% of them are 5/5 stars, with another 23% coming in at 4/5 stars. This means there's a total of 76% percent of buyers who believe the product to be either very good or excellent, and have rated it such. The rest of the reviewers gave the Pro 2000 somewhere between 1-3 stars out of 5. In terms of actual specific feedback regarding this product, one reviewer mentioned that he was in two minds about buying this treadmill, and although he really wanted a Proform, he was a little put off by fears of a bad customer service experience, should he have any problems. Well he ended up getting the treadmill, and loving it after a very short amount of use, finding it to be a very sturdy and smoothly operating machine. The only problem was that there was an issue with his computer console from day one of getting the treadmill. He called customer service, and the first two times had issues getting someone to help him (he was put on hold, and then being on a lunch break at work, didn't have time to wait on the phone for the followup to his issues). The 3rd time however, he was able to speak to a female customer service operator over the phone, and after explaining that he'd already tried twice and not got past being put on hold, she assured him she would not do the same. She was able to quickly figure out that the console needed to be replaced, and told him that once new stock for that part was in (within a week or so) he would be receiving another one (at no cost) in the mail. As is the case with almost all products, the Proform Pro 2000 has not fully escaped negative criticism from some users. Generally the overall feedback is extremely positive, and the general consensus is that this machine is a top of it's range, being sturdily built and creating an excellent experience of a smooth workout. Having said that, there were some negatives (small gripes) that we found amongst the user feedback, and they are worth mentioning in order to give a clear and fair overview of this product. One of the gripes that a few of the buyers of this treadmill had, were the fact that it doesn't fold up small enough and is still basically a very large machine even when in “storage mode”. It's inevitable that you're going to require a good amount of space in the home or office for this treadmill if you really want to invest in it. If you're really tight on space, maybe the whole idea of getting a treadmill in the home is a bad one to begin with, as you're going to have to make some kind of commitment of space, and it's likely that any treadmill you buy is going to be FAIRLY similar in size to the Pro 2000. One user mentioned concerns over the durability of the deck material used, and said it was “made of a lower quality material”. This comment was not echoed by any other reviewers, so it doesn't seem to be a serious problem. With so many places to buy products online these days, it can be a tough choice to make. We're a big proponent of buying things online where you can be assured safety of purchase (not getting your credit card details into the wrong hands), and also where you have a good chance of receiving top level customer service from the website where you purchase your item (should anything unfortunate happen during the buying process or afterwards). Here's some of the common questions that people thinking of buying the Proform Pro 2000 often have before buying. How hard is this model to assemble? How high from the ground is the top of the running deck? 10 1/4 inches to 10 1/2 inches. Yes, this treadmill folds up, but users report that often they don't bother folding it to put it away, as it's not overly easy and is cumbersome to continually fold and extend unless you're really short on space. Can this treadmill run on batteries, or only off a power outlet? It plugs into the wall socket. Can you enter weight, etc WITHOUT the use of an iFit? No, you will need to use it with an iFit to make use of those features. What if I have a fairly low ceiling height, say 7 feet? It might be a little tight, so you will want to make sure of the measurements before purchasing. Be sure to measure your height + the maximum incline height of the treadmill, which is 16 inches from the floor. 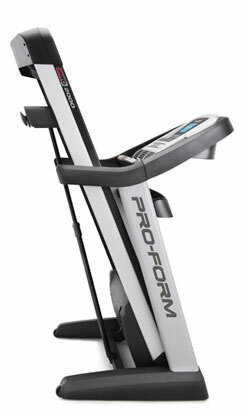 What is the maximum weight I can be to be fine using the Proform Pro 2000? The maximum weight recommendation from the manufacturers is 300 lbs (or 136 KG). Do I have to assemble this treadmill myself upon delivery? From many user's feedback, the unit will come 80% assembled, with the uprights and covers requiring assembly before the unit will be ready to use. Also the main base of the treadmill is very heavy, and so you will want to have AT LEAST 1 other person to help you not only carry and position the main unit, but to help with the positioning and assembly of the other parts too. You will probably want to allow 2-3 hours for the assembly time. Does this treadmill both incline and decline? Yes, it inclines all the way to 15%, and declines to -3%. Does the Proform Pro 2000 come with a warranty? Yes, it comes with the standard ProForm warranty, which gives the following cover: Lifetime Frame & Motor Warranty, 5 Year Parts Warranty, 2 Year Labor Warranty. Upon delivery, does this model come in a single box? How noisy is this treadmill? All user feedback seemed to come to agreement that the Proform Pro 2000 is not a particularly noisy treadmill, and certainly doesn't make enough noise to be an issue in most cases. 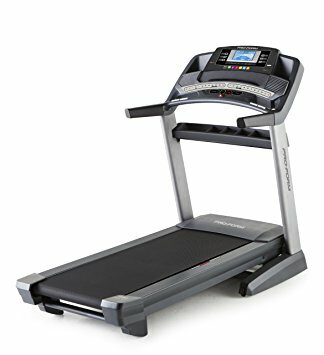 Once the treadmill is folded, does it have wheels on the base to be more easily moved from room to room? Yes it does. That being said, it's still a very heavy piece of equipment. Unless you're a big man, then you'll probably want to get at least 1 person to help you move it around. Are the buttons on this treadmill durable? Yes, the buttons are very durable. All user feedback agreed that this treadmill has stood the test of time beautifully. 18 inches (45 cm) Depth x 33 inches (83 cm) Width x 83 inches (210 cm) Length and it comes on a big shipping pallet. Conclusion – Is The Pro 2000 Worth Buying? 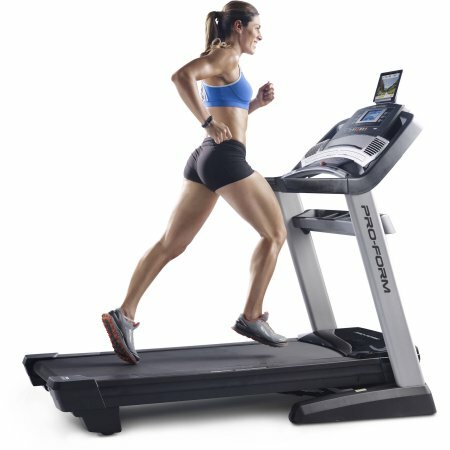 The Proform Pro 2000 is a very solid treadmill, and its reputation has been built on the basis that it's a machine designed and built with quality in mind, by a company who's definitely paved the way when it comes to serious yet affordable treadmills. 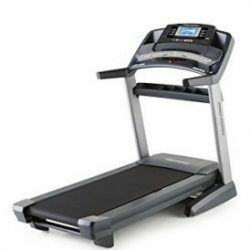 The only negatives we could come across regarding this particular model were based on customer service issues that were really more to do with a specific seller rather than complaints about the quality of the treadmill itself. If you want to invest in a quality treadmill that's going to stand the test of time, and give you the capability to train to whatever degree you need, then the Pro 2000 is a wise choice.